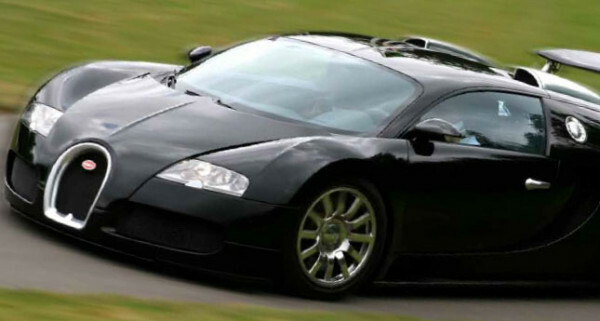 The Bugatti Veyron was born from the creative mind of Ferdinand Piëch, and he said it would boast 1001bhp, and a pricetage of USD$1 million. It was launched in 2005. I travelled to the VW Proving Ground in Arizona in 2004, to get my VWAG high speed licence (limiting me to 160km/h), so that I could then travel to the VWAG Proving Ground in Germany, at Ehre-Leissing to qualify for another licence, limiting me to 250km/h. The plan was for me to drive a prototype Bugatti Veyron, but sadly that dream did not come true. However, in 2008 Bugatti sent a car to Australia for exhibition laps at Adelaide's Clipsal 500, and the Australian Grand Prix in Melbourne. My former boss at Bentley Motors NA, Alasdair Stewart (right) was then in charge of Bugatti sales, and he asked me to create a PR exposure program for the Veyron, whilst it was in Melbourne. The best way to achieve this was to ensure the car was on display for Press Day at the Melbourne Motor Show, and then to invite two of my best friends among the automotive media, Paul Gover and Peter McKay, to drive the car at the Sandown Park circuit a few days before the 2008 AGP, where it would also run exhibition laps. To do this it was imperative that they both hold valid competition licences - which thankfully they did. They are two of the most senior, and experienced automotive writers in the country, and great drivers. 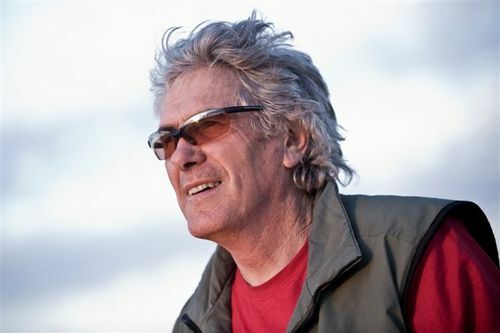 Everywhere the Veyron goes, it is accompanied by its 'minder', former F1 driver Pierre-Henri Raphanel, and he would not approve the test drives until he sighted their competition licences. Suitably satisfied, Pierre-Henri (unusually) occupied the passenger's seat, as Paul and Peter completed their laps. As I prepared this post, Paul's story would not be released from copyright, but Peter McKay's story was published in a now defunct 'lifestyle' magazine, so I have edited his driving experience to present in DRIVING & LIFE. Incidentally, Gover and McKay are the only Australian journalists to ever drive the Veyron under racing conditions, on a closed circuit. SANDOWN PARK RACEWAY, MELBOURNE. , MARCH 14, 2008. There it is in pit lane, all ground-hugging menace and authority, even though it is hardly taller than a terrier. This is the first time any Veyron EB16.4 has visited Australia. 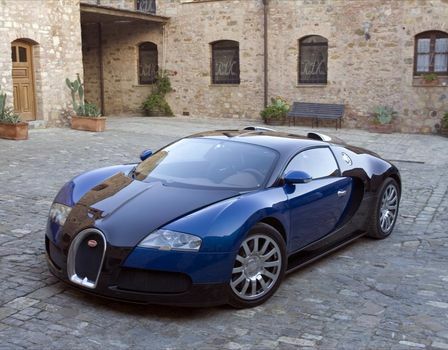 The Bugatti importer, Trivett, senses the potential for a handful of Australian sales. A few hot prospects will be taking highly exclusive ride-and-drive outings at the upcoming Australian Formula One Grand Prix at Albert Park. On hand at Sandown for our drive is the smiling, chatty Pierre-Henri Raphanel, whose business card announces him as "pilote officiel” or the car's minder, and official show-off and test driver. The taste-test Veyron goes nowhere without Raphanel, a former Formula One driver. Raphanel doesn't have to warn about the need to be circumspect with a car valued at the net worth of a Sydney suburb, and one with the potential to accelerate faster than F1 machines to 100km/h. Yes, the 2008 F1 cars fire off the starting grid to 100km/h in about 2.6 secs. 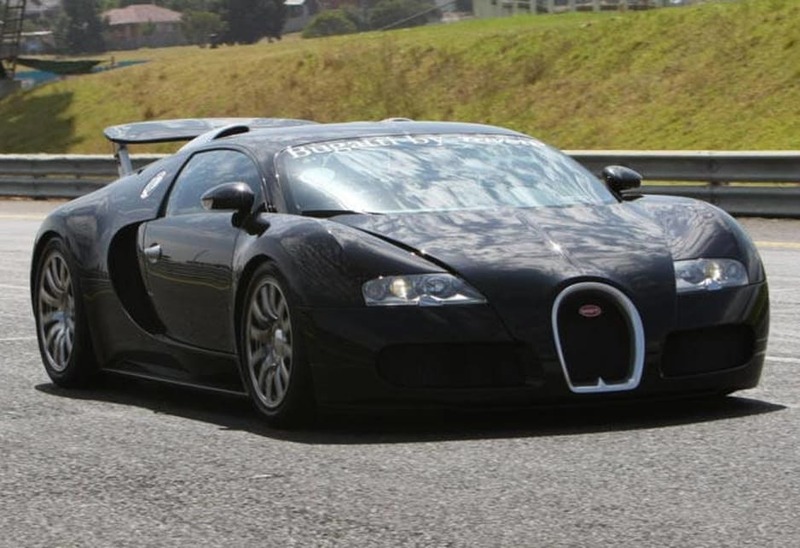 The Veyron does it in 2.46 secs, officially. The wonder of the Bugatti Veyron EB16.4 supercar is that whilst it has this astonishing performance, it meets noise and pollution regulations and remains a pliable, docile car in anyone’s hands. Just use the key, and a push-button to start. It has most of the creature comforts, even heated seats, and a superb Burmester audio system. In fully auto mode, the gear changes are seamless. The 7-speed DSG box is handbuilt by Riccardo in the UK. The Veyron runs to 100km/h in first gear, 150 in second and 200 in third – and there’s another four forward gears remaining! 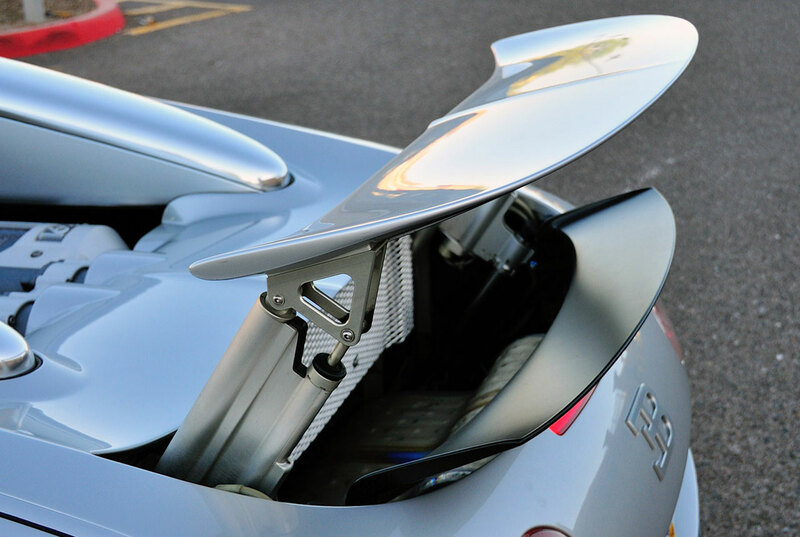 The prototypes wanted to ‘lift-off’ at speed, so the engineers ensured that above 200km/h, the nose automatically lowers by 50mm, and a huge rear spoiler is deployed to create downforce and stability. As I sink into the leather and suede driver’s seat concentration levels are sky high. 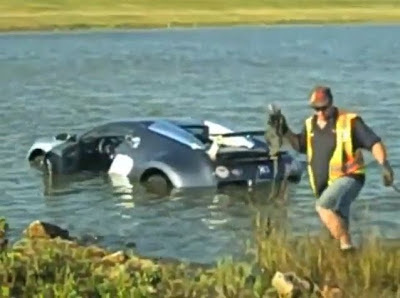 Joining that small group of infamous people to crash a Veyron is high on anyone’s ‘Must Avoid’ list (below). Push the throttle to the floor, and your head snaps uncontrollably at every gear change. Upshifts come with machine-gun rapidity. Even on Sandown’s long straight the Veyron is contained to 258km/h, so no sooner are you accelerating, than you’re braking for a corner. Nothing in my automotive experience gets close to the sensation of rocket-like thrust. Not a V8 supercar. Not even the Porsche Carrera GT. Closest is one of today's powerful motorcycles. Accelerating in first gear gives a fleeting impression that the nose is coming off the tarmac, like a big Honda Fireblade on the gas - the lightning transfer of 1888kg to the rear provokes that daunting, fleeting thought. Down through Sandown's Esses – a bit like a ski slalom course, the Bugatti slides from apex to apex unerring and without fuss, making light of its mass. This is a sublime, gob-smacking piece of automotive kit. Throughout, the W-engine behind your shoulders roars with enthusiasm, but conversation is possible, though interrupted by the odd gasp, and an occasional unscripted pause to fight the accelerative and stopping G forces. At my passenger's urging, I crank the Veyron up to around 200km/h. "Now take your hands from the steering wheel and jump on the brakes," he commands. I do. Massive pads bite into carbon ceramic rotors. And AUD$2.7million of extreme motorcar tries to bury itself into the tarmac, all the time tracking straight. Impressive. At speeds above 200 km/h, the rear wing helps braking too, acting as an airbrake and flipping to a 55-degree angle once the stopping pedal is activated. 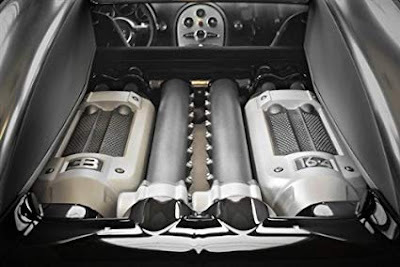 Raphanel says – and this is a surprise – that Bugatti Veyron owners don't buy the car for ostentation, but because they are captivated by the engineering. While the car has a bold, look at-me presence; the owners keep a low profile. Allegedly. 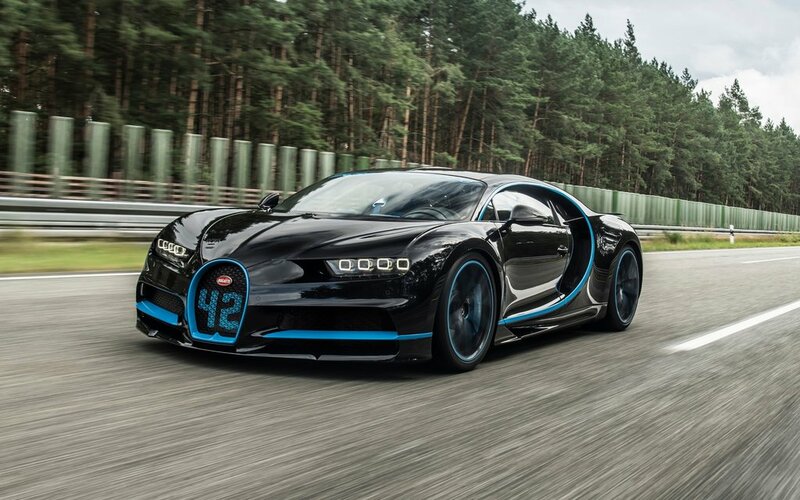 It is rumoured that each of the 300 left hand-drive Veyron EB16.4's to be produced costs Bugatti around $9million a piece (factoring in the enormous development costs tallied up over the lengthy gestation period). This means the company loses more than $6million on every sale, if you ignore the incalculable marketing and promotional benefits, and engineering kudos the car brings to the brand. It's premature to suggest that the Veyron could be the last of the internal combustion-engined automotive grand gestures. But shrinking oil reserves and a growing social antipathy with unrestrained, over-the-top personal transport is certainly challenging long-time, historic values.